Fiction – Kindle edition; Viking; 240 pages; 2014. It could even be argued that it is the fear of betrayal that forces Kotler’s son, a solider in the Israeli Army, to ignore his superiors by refusing to take part in the destruction of the Jewish settlements — even if he has to injure himself so that he is unable to do so. Perhaps someone could think, considering them, that here was a dutiful daughter vacationing with her father. But wasn’t that yet another of the changes, the increased number of daughters and fathers who seemed to be vacationing together? What a picture they made, he thought. This voluptuous, serious, dark-haired girl with her head on the shoulder of a pot-bellied little man still wearing his sunglasses and Borsalino hat. Fodder for comedy. Admittedly, I have an aversion to novels that are focused on political betrayal (I’m not a fan of Cold War novels, for instance), but there was a lot I liked about this one. It’s fast-paced, too, and can be easily read in a day or two. The male characters are well drawn (the females less so) and the dialogue is very good — short, sharp and punchy — enough to suggest it would make a terrific screenplay. That’s not to say Bezmozgis is light on detail, because he’s not — his descriptions of Yalta are particularly vivid and even the way he describes the inner life of Tankilevich, forced to beg the Jewish charity in Simferopol to extend his 10-year stipend, has a ring of authenticity to it. 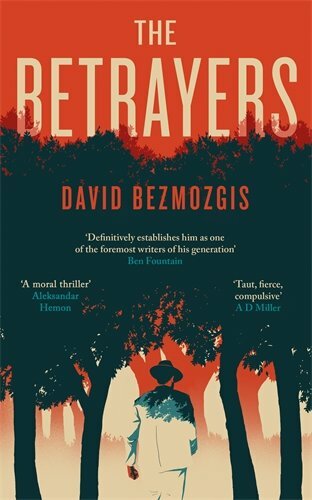 But, on the whole, The Betrayers feels very much a “male book”, which may not bode well for winning a major literary prize like the 2014 Giller Prize, which will be announced in a week’s time (10 November). For another take on this novel, please see KevinfromCanada’s review. I like the sound of this. Hadn’t heard of it before so thanks. It’s one of the only shortlisted titles available to buy in the UK. And I see the Kindle price has been slashed since I purchased it at full cost a month or so ago.